Russia will continue to support Serbia in its determination to protect its territorial integrity, said Dmitry Medvedev during his visit to Belgrade. The Russian president met his Serbian counterpart Boris Tadich to discuss international politics, joint energy projects and humanitarian cooperation. “I thank Russia for its principle and powerful support of Serbia’s defending its territorial integrity. I’ve confirmed that Serbia will not change its policy towards Kosovo, that Serbia affirms its commitment to principles of international law in diplomatic and political effort to preserve our territorial integrity,” Tadich said on Tuesday at a media conference. 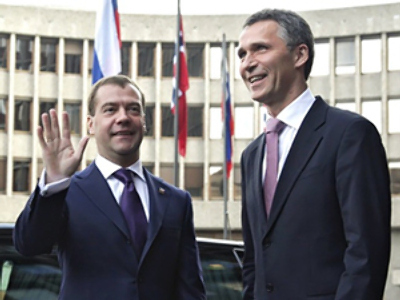 Medvedev reaffirmed Russia’s support, saying it’s one of many issues where Moscow and Belgrade have close positions. Russian and Serbian officials signed a number of energy deals. Gazprom and Serbiagaz, two national gas corporations, sealed a deal on forming a joint company, which will construct and operate the Serbian segment of the South Stream gas pipeline. Russia will also help Serbia build an underground gas storage “Batansky dvor” with a volume of 450 million cubic meters. 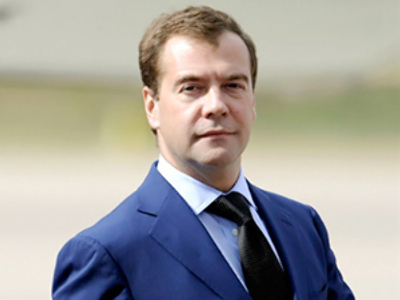 Dmitry Medvedev stressed that projects like these contribute to European energy security, which Russia as a major energy state regards as very important for its foreign policy. The two leaders were expected to announce a deal on a billion-euro loan, which Belgrade asked Moscow to provide, according to Serbian media. This did not happen. RIA Novosti agency cites a source in the Russian delegation as saying that the signing of the deal was not planned for this visit. Meanwhile, ITAR TASS cites Russian Emergencies Minister Sergey Shoigy, who is part of the Russian delegation, as saying that the decision on the loan will be issued over the course of the day. The two countries have agreed to develop cooperation in humanitarian action. A special base near the Serbian city of Nis will be established to coordinate disaster prevention and rescue missions. Boris Tadich praised Russian firefighters, who have been helping their European colleagues in Serbia, Greece and other countries to fight against mass summer fires. Another area of cooperation is the mine sweeping of Serbian territory, which remains dangerous after the armed conflicts of the 1990s. 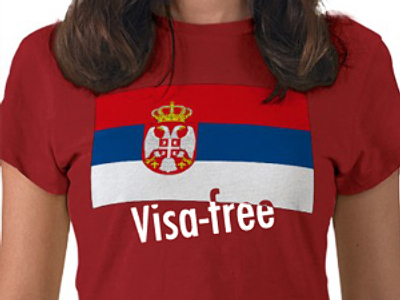 Russian engineers are already helping Serbs in this work.